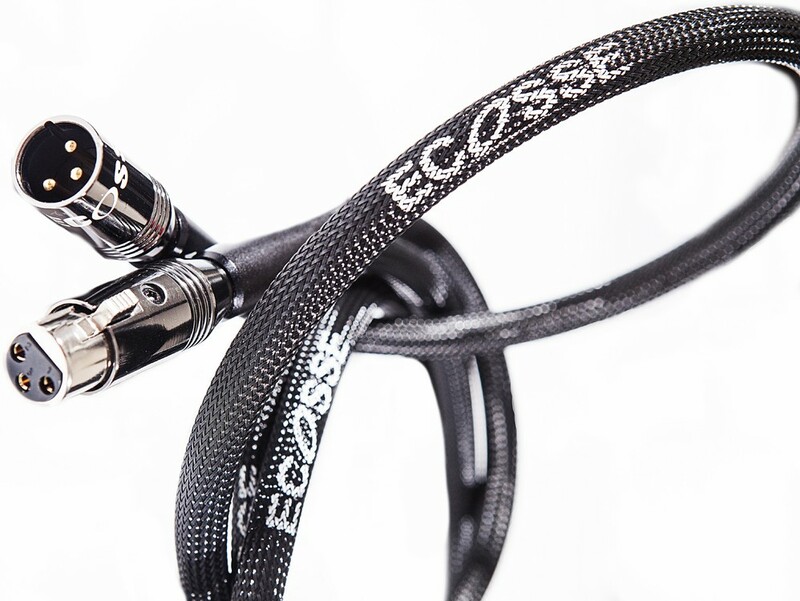 Ecosse La Prima Donna is an audiophile reference grade cable that superdeeds The Myth interconnect and compliments the performance of high-end hi-fi, available with RCA or XLR plugs in 0.5m, 0.8m, 1.0m or 2.0m lengths. It is sincerely recommended that you consider matching La Prima Dona with either of Ecosse SMS speaker cables or, for ultimate satisfaction, with our US2 Monocrystal silver speaker cable. The signal conductor has a dielectric of ultra low loss Foamed Polyethylene. The return conductor and inner screen comprise of 100% coverage pure copper foil and a close-lapped braid of silver-plated Ultra-Hi Purity-OFC. This is sheathed in a PTFE (Teflon) separator. The outer screen is a close-lapped braid of silver-plated Ultra-Hi Purity-OFC and is grounded at source end only. The clever bit is the layer of Vibrakill Neoprene sandwiched between the outer screen and the soft PVC jacket, virtually eliminating the effects of microphony and contributing greatly to the preservation of the accuracy and integrity of the signal. La Prima Donna is available with either RCA or XLR plugs. The RCA version features their most sophisticated RCA plug assembly-the awesome MACH3 frighteningly expensive constant-impedance Monocrystal Ag over Cu RCA plugs. A heavy, silver-plated brass body, with twin high tensile fixing screws, clamps the double-shielded assembly uniformly and without stress. This shield, which grips the cable, does so firmly but without compressing the cable, ensuring that the crucial characteristic impedance is maintained.-uniquely, their centre pins and conjugate bracket shields (designed to form a 'Faraday Cage'-a device designed to maximise RF screening) are both deep silver-plated Monocrystal Copper. 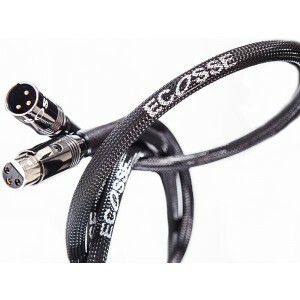 In balance configuration Ecosse use the over-designed Monocrystal MACH3 Ultima XLR plugs. When terminating, the solder joints are formed with Supersolder, our new ultra high purity silver and tin alloy wire, together with our unique, passive organic flux, ensuring a joint with vanishingly low resistance, ultra low chemical contaminants and very high strength.